Delta Software is the heart of Delta group, established in 1980 as a Group of companies working in several High-Tech domains. Delta Software is celebrating over 32 years of success with thousands of customers all over the globe. Delta Software offers ERP software solutions, HR (human resource) software solutions, hospitality (hotel management software) solutions, POS software (point of sale) solutions as well as tailored solutions. 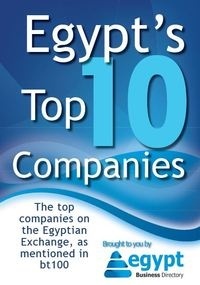 Delta Software is the heart of Delta group, established in 1980 as a Group of companies working in several High-Tech domains with wide varieties of complementary activities and offices spanning Egypt and the Middle East. Delta Software has been serving the Information Technology field in the Middle East since 1980. It has delivered a variety of state of art business solutions that helped improve the operational efficiency and productivity of many enterprises; serving thousands of businesses including large enterprises and medium size companies. Delta Software have developed a wide spectrum of business applications. In addition, Delta Software provide tailored software, offshore development activities, Internet applications & web solutions. Delta Software has branches & dealers in Saudi Arabia (Riyadh, Jeddah, Dammam), Qatar, United Arab Emirates(Dubai, Sharjah), Sudan & Libya with the Headquarters in Cairo, Egypt.